Ile-de-France, which includes Paris, is the heart of France, both geographically and historically. Wonderful chateaux and cathedrals make this area a great day trip with your kids from Paris. 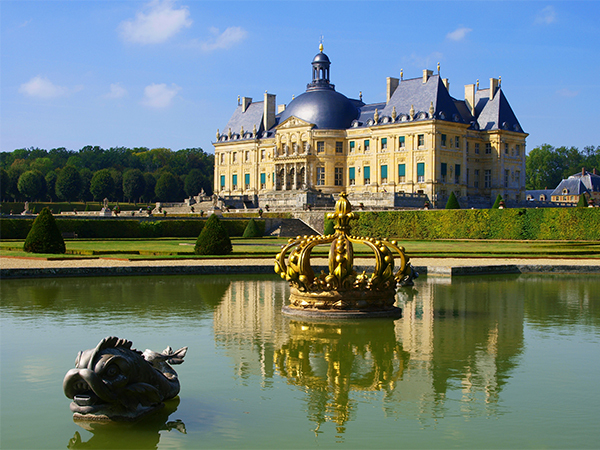 Chateau de Vaux le Vicomte (Maincy)  Want to know where Louis XIV got all his decorating ideas for Versailles? Visit Vaux le Vicomte, a truly gorgeous 17th century chateau that's got it all  lavish palace, lakes, gardens, grottos, fountains, a Great Canal. Before its creator, Charles Fouquet, got tossed in jail, he held the splashiest fetes at Vaux le Vicomte with fireworks, plays by Moliere, royalty strolling through the gardens. Pick up a copy of a discovery tour for kids as they explore the palace and grounds. On weekends, kids can dress up in costumes and then visit the formal state rooms (really sets the scene). There are also seasonal events, such as treasure hunts  click here for the events schedule. Vaux le Vicomte is much less crowded than the more famous Versailles, highly recommended by the Lee family, this is a super day trip from Paris. Forest of Fontainbleau  The Forest of Fontainbleau was created to protect the royal hunting grounds. Today the birch and oak forests are the perfect place to hike, bike or ride on horseback. Trails are well marked. If you're interested in a king's hunting castle, visit the Chateau of Fontainebleau. The gardens are spectacular, with large ponds, pine grottos, fountains and pavilions. France Miniature Parc (Elancourt)  See France from a bird's eye view. Kids will tower over scale models of Loire chateaux, Mont Saint-Michel, medieval cities or Roman amphitheaters. Closed in the winter months.